The Uganda Women Writers Association, FEMRITE, will hold their annual Week of Activities between July 5-9. Under the theme, ‘Writing to Change Lives’, the week will also involve a five-day training workshop on creative writing. FEMRITE Programme Coordinator, Hilda Twongyeirwe in an interview on July 1 highlighted the week’s key events as: a public dialogue on the role of creative writers in nurturing responsible and accountable citizenry and leadership at National Library of Uganda on July 6, at 5p.m. ; a publishers’ exhibition of bestselling titles at the same venue at 9p.m. ; and launch of a book, Beyond the Dance at the National Theatre at 5p.m., July 7. On July 9, from 6 p.m. till midnight at the Uganda Museum, the public will be treated to poetry recitations, hilarious folk tales, music and a raffle with exciting prizes. What activities does FEMRITE carry out? We have various activities but they fall under the following programme areas: developing and promoting women writers, publishing, recording stories of marginalized women, lobbying and advocacy for Uganda’s literary heritage, regional capacity building, promotion of reading and writing and networking. The organization was founded by a small group of women that were mobilized by Mary Karooro Okurut. Some of these women were: Margaret Ntakalimaze, Rosemary Kyarimpa, Ayeta Wangusa, Lillian Tindyebwa, Hilda Twongyeirwe, Dr. Susan Kiguli and others I might not remember. 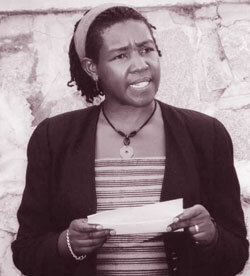 Shortly after formation in 1996, FEMRITE recruited Goretti Kyomuhendo as the first Coordinator and she saw the organisation take long strides of literary achievement. The organization was founded out of the need for women to get together and encourage each other to write. During that time, the male creative writers dominated the creative writing scene. In addition, the women movement at the time was very strong, having just returned from Beijing where they created thematic areas for women to address. Under those arrangements, creative writing was not identified among the key themes to address. For a while, women creative writers operated under the theme of women and media but after some time, they realized that that theme did not quite cover their creative writing concerns. That was when discussions of formation of a women writers’ outfit started, in 1995. The organization was launched on May 3, 1996 at the National Theatre with a grant from the American Embassy. Shortly after the launch, the organization was registered as a non-profit making association that has operated thus to-date. Do you involve men in your activities? We have activities where men participate actively. For example, we have a Readers Writers Club where men have leadership roles. Men also participate in some of our writing workshops. In the last three years, FEMRITE has published three poetry anthologies where men’s works were also considered. And so, yes, we do have men in some of our activities. How do you fund your activities? We write proposals to development institutions that are interested in promoting women writing in Uganda and Africa and those that are interested in promoting Uganda’s literary heritage. Members also make annual subscriptions. Some activities like the Readers Writers Club are self sustaining because members make personal contributions to run club activities. How does one join FEMRITE? That is very simple. We have a membership form which interested women are required to fill to declare their interest. To ensure that the applicant is a creative writer, she is required to attach three pages as samples of her creative works, whether poetry, short story, novel extract, play, etc. Aren’t you a Kampala based elitist organization? A writers’ organization is unique in a way. 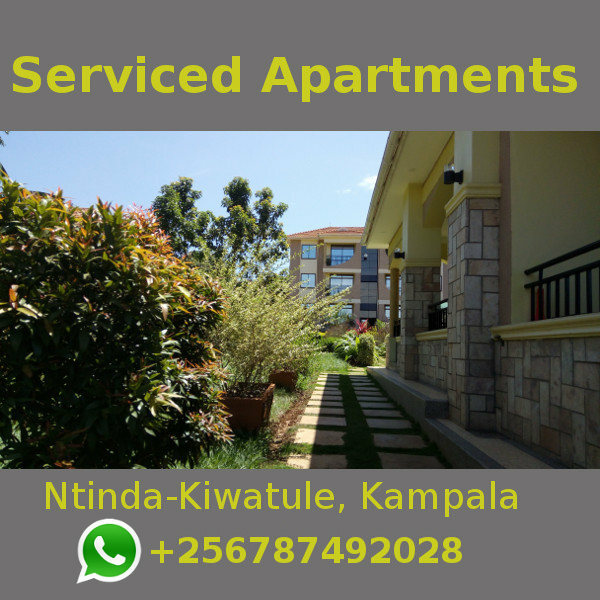 You don’t have to live in Kampala in order to write. Therefore, our membership is widespread. Some members live in Gulu, others in Soroti, Mbale, Kisoro, for example. Others are outside the country. And they all participate actively in different projects. That is the beauty of FEMRITE. Which languages do you use in your activities? It depends on where we are. Sometimes we have activities upcountry, especially with women who have stories to tell but they do not know how to write. When we have such, then we use the language of the area and we translate the stories into English. This is especially for the programme of recording stories of marginalized women where FEMRITE has so far published five books. However, we still publish only in English although we have trained members in writing in local languages and they are writing with other publishing houses. Can you talk about your publishing function? FEMRITE is engaged in non-commercial publishing. Our focus is fiction for adults and children and also true-life stories of women aimed at influencing policy reforms that address gender gaps. FEMRITE has had various achievements. The organisation has a publishing list of 29 books. As a non-commercial venture, that is quite a long stride and we are very grateful to our development partners. In addition, the organisation has trained women writers that have won literary awards in Uganda and beyond. The major challenge we are facing currently is the financial crisis that has hit not only FEMRITE but the world at large. There are now few development partners supporting arts and culture. But also in the past, while programmes such as good governance, politics, health, education and others have enjoyed good funding from development partners, the arts and culture sector never had many donors supporting it. Another challenge we face is from people who do not read FEMRITE books but insist that our books portray men negatively. That impacts negatively on the readership that we are trying to build. Our future plan is to establish a fully fledged publishing house that focuses on women and gender literature. We have also started a Regional Women Writers Residence which we hope to grow into a big programme for the continent. So far, one residence was held in 2008 and the second one will be in November 2010. We also plan to establish a network of women writers associations in Africa. We have already held discussions with other women writers on the continent and we are all excited about the idea. We have an idea of establishing a fully fledged Resource and Research Centre with a collection of African women’s literary works. At the moment, we run a small resource centre where members borrow books to improve their reading and writing. Any similar organizations you work with? We work with other women writers associations in Kenya, Zimbabwe, Ghana, Ethiopia, South Africa, Zambia and Tanzania. We also network with book councils in Uganda, Kenya and Tanzania. We are affiliated to Women’s World in the USA and we were recently seconded for subscription to Farafina, a prominent literary journal. Why is the reading culture ever going down in Uganda? It is never going down in Uganda; I think it has been on a flat level. There is a lot of academic reading in Uganda though. But there are many issues as to why many Ugandans do not read. They are just not into the culture of creative books and reading. As a result, Ugandans do not buy books and they do not read. In addition, there are many pressures that keep people away from books. When people do not have what to eat, a book becomes luxury. Or when one is faced with deadlines upon deadlines, then creative reading is not given any priority. Also, I wish to add that the poor reading culture is compounded by the fact that we have gotten stuck in the past with literature from the West which may be irrelevant to our needs. So, instead of functional reading, we read for exams and once we are out of school, reading is associated with the Western culture. Actually, if you get into a taxi and you are reading, you will be shunned and a remark such as “Oli Muzungu?” [“Are you a White?”] may come up. And while other governments support their literary heritages, Uganda does not. So, what do you expect from the public? They too do not see the nurturing of literature as important. How much of the national cake goes into supporting creative writing? I rest my case. However, let us resolve to equip our children with better comprehension skills by availing them with creative books. And for the adults, we all need to read as much as possible to improve our lives. We should also simply relax in the creations of our writers.